Are you asking yourself “where can I buy top soil in Southampton?” Then look no further than Abbey Turf. We offer a range of garden products and landscaping services to suit your needs and budget. Our experienced team will be able to provide all the answers to the question “where can I buy top soil in Southampton” with our range of affordable choices. Whatever project you are undertaking in your garden or on your land, you may be questioning “where can I buy top soil in Southampton?” for a number of reasons. Top soil is great for all garden projects such as laying down turf, creating garden borders and planting seeds. 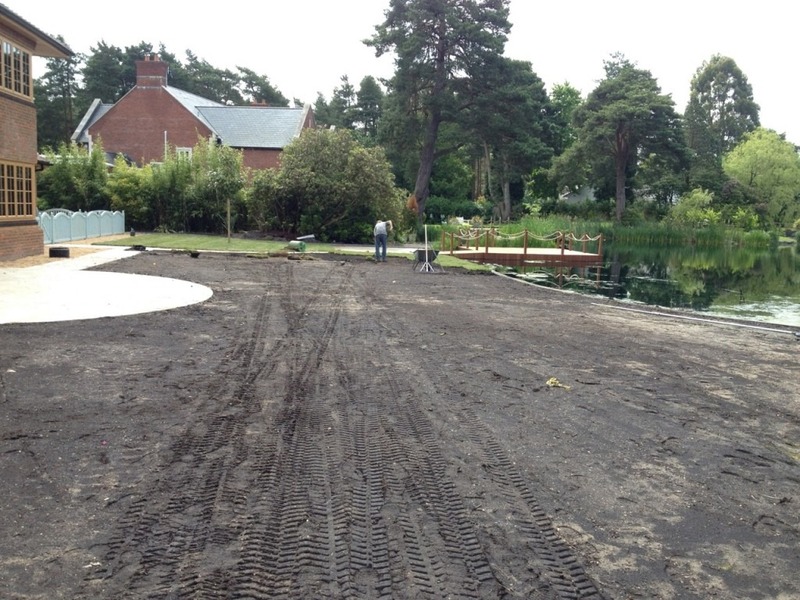 At Abbey Turf, our expert team can supply you with the highest quality top soil in Southampton. Our rigorous screening process ensures that all of our top soil bags are free from weeds and any sharp objects so that it is ready to use and easy to lay. 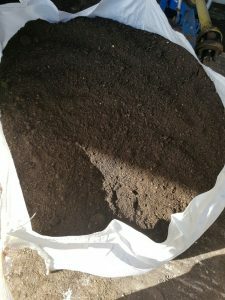 All of our top soil is delivered in maxi bags for quick and easy delivery directly to your door. They can easily be lifted over fences for direct access to your garden without having to bring them through the house. For all of your questions relating to “where can I buy top soil in Southampton?” our experts are on hand to discuss your needs. We tailor our service to you so that we can help you choose the perfect products for your garden project. We recommend one maxi bag per every 30 square yards for a 1 inch deep covering. If you know the specific measurements of your garden, simply let one of our team know and they will be able to calculate the recommended amount of Southampton top soil for you. If you are questioning “where can I buy top soil in Southampton?” then you may also be in need of a number of other services that we can offer you. You may wish to invest in some bark chips or mulch when carrying out gardening or landscaping work. Bark chippings make a great addition to any garden as an aesthetic border and also to help prevent weeds from appearing. We can deliver all bark chippings by the cubic meter. The question “where can I buy top soil in Southampton?” suggests that you may be laying a new turf. If this is the case, then Abbey Turf can supply you with high-quality lawn that is produced in-house. Our range of turf varies from domestic lawn turf to show turf for a beautiful aesthetic finish to your garden. We are one of the few companies that do not grow our turf on netting, and all of our stock is grown on our own 180-acre site. We will cut your turf fresh to order so that it is ready to lay the minute to take it home or we can arrange for a delivery of your turf within 24 hours from the time you place your order. Each roll of turf is 1 square meter, so if you are unsure of how much you will need for your garden, speak to one of our team who can advise you on the right amount. Your DIY garden project might have led you to search for “where can I buy top soil in Southampton?” but why not let the professional take care of your garden with our expert landscaping services. Whether you need some garden maintenance or want to transform your garden into an outdoor paradise, Abbey Turf has got you covered. So whether you need hard or soft landscaping, you don’t need to question “where can I buy top soil in Southampton?” any longer. We have a diversely skilled team who will work closely with you to bring your garden design to life. Our services are tailored to you, but if you are lacking inspiration, our expert team will be able to provide ideas and suggestions on how to make the most of your space; no matter how big or small. If you would like to discuss your options, we can arrange to carry out a FREE survey with a no obligation quote for your landscaping needs. At Abbey Turf we supply the highest-quality turf to a number of domestic and commercial trade customers across the South of England, and we often supply products to Golf Clubs, Local Authorities and the Government. When questioning “where can I buy top soil in Southampton?” it is important for you to know that we have over 25 years of experience in the industry and only supply the most natural and affordable products for your garden. Each member of our team has a wealth of experience and knowledge when advising you on “where can I buy top soil in Southampton?” and we endeavour to go above and beyond your expectations when you choose us for your top soil in Southampton needs. Our landscapers are fully trained and capable of transforming your garden with a range of features and installations that we guarantee you’ll love. You can rest assured that we are fully insured when working on your property and our friendly and professional workmen will always leave your home clean and tidy when your project is complete. When you next find yourself questioning “where can I buy top soil in Southampton?” remember that Abbey Turf provide FREE quotations for all of our services. So whether you need one bag or ten bags of top soil in Southampton, we offer competitive rates and want to give you the best value for money on the market. For answers to your question “where can I buy top soil in Southampton?” get in touch with Abbey Turf today. Call us on 02380 812302 or email us at info@abbeyturf.co.uk.